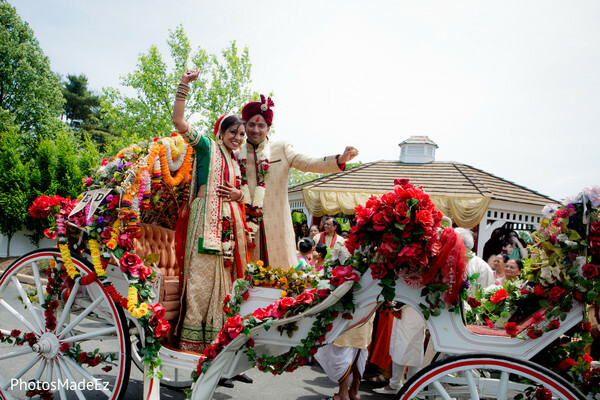 It's off to Springfield, PA for the nuptials of our spotlight couple, Megha and Hemal, brought to us by PhotosMadeEz. 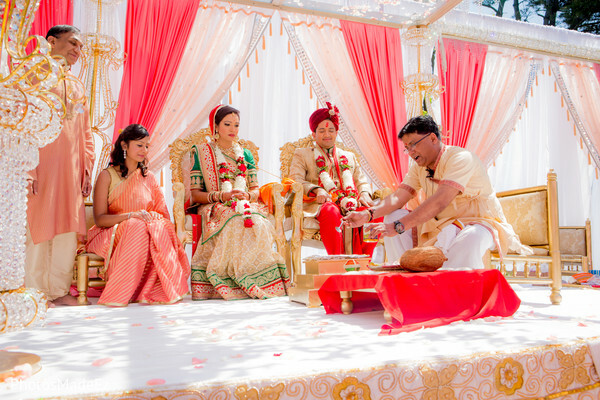 Our Maharani of the moment looks stunning in her traditional sari, with flawless hair and makeup—courtesy of SV Bridal Concepts by Sanjana Vaswani. 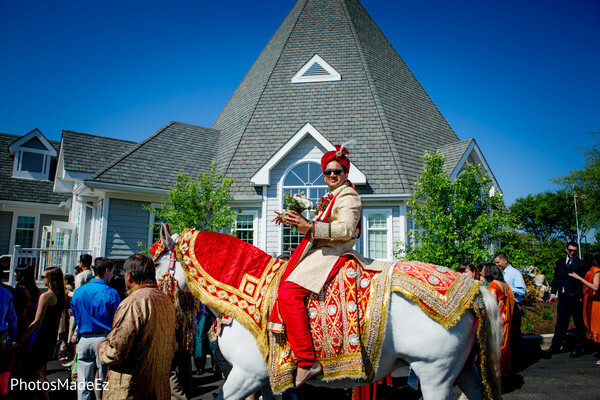 And, check out our gallant groom galloping in on his faithful, white steed! These two cannot wait to be wed. 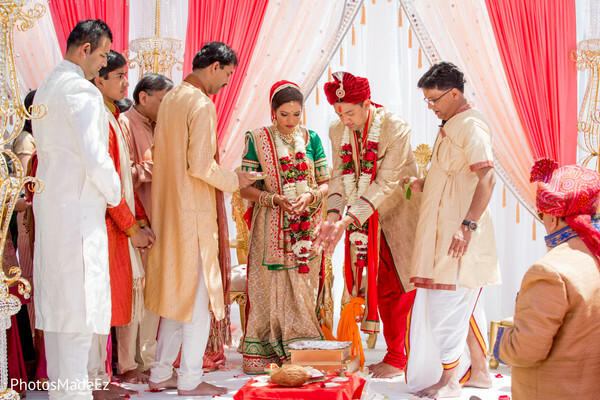 The Indian ceremony, planned by One Events Management, takes place at the Springfield Country Club, where Sajawat designs a regal mandap for the couple. 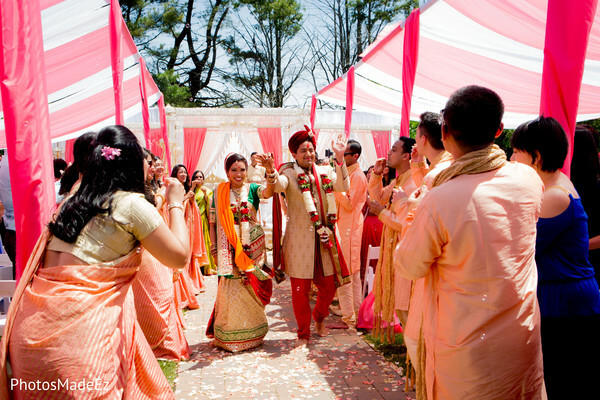 Cascading coral and white fabric mixed in with colorful floral arrangements make this an exciting sight to see. 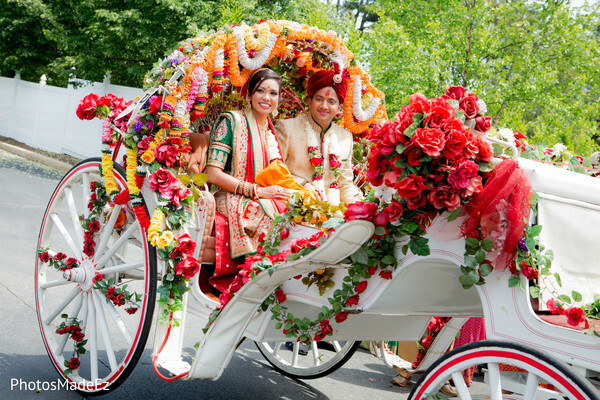 Once the vows are said, and the malas are exchanged, there's nothing left to do than ride off into the sunset (or in this case the reception), in fairy tale fashion—on a horse and carriage. We've got more in store, but for now, check the gallery to see more highlights of this day! The reception celebration is next! 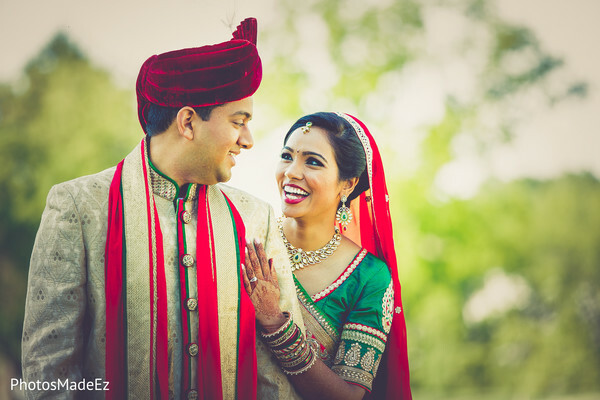 PhotosMadeEz, SV Bridal Concepts by Sanjana Vaswani, Springfield Country Club and One Events Management are members of the Platinum Guide. Love what you see? Explore their portfolios.